Alexandria, Va. – Sept. 6, 2012 – Four in 10 manufacturers and one in four service-sector companies plan to hire workers in September 2012 according to a report from the Society for Human Resource Management (SHRM). The report also shows that manufacturing-sector hiring will rise by a net of 12.4 points and service-sector hiring will inch up by a net of 2.7 points on annual basis (comparing September 2012 with September 2011). Respondents include HR professionals from 500 service-sector companies and 500 manufacturing companies. — In the service sector, 31.8 percent of companies will hire while 7 percent will trim payrolls, leaving a hiring net of 24.8 percent. The remaining 75.2 percent report no staffing changes are expected during September 2012. “Though the employment-expectations indices for September are at least pointing in the right direction, we still have a way to go before a long-term pattern of strong, monthly hiring increases is reality,” said Jennifer Schramm, GPHR, and manager of workplace trends and forecasting at SHRM. LINE also features the only national monthly employment indices capturing HR professionals’ month-ahead hiring expectations, and past-month recruiting difficulty. The report also includes a new-hire compensation index and an index of exempt and non-exempt job vacancies. Recruiting difficulty inched up 0.1 point in the manufacturing sector and slipped 1.8 points in the service sector on an annual basis, comparing August 2012 to August 2011. August is the most recent month for which data is available. Also, fewer companies reported increases in new-hire compensation. The number of companies increasing new-hire compensation fell by 2.8 points in the service sector and dropped by 0.7 points in the manufacturing sector on an annual basis (comparing August 2012 to August 2011). 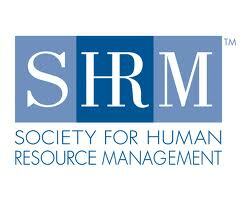 Visit SHRM Online at www.shrm.org and follow us on Twitter.